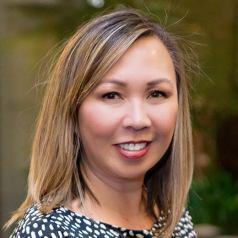 Mary Yumul serves as the Vice President of Human Resources with 20 years of experience in Human Resources with 18 years in non-profit organizations. Prior to joining JCVI, Mary was the Vice President of Human Resources / CHRO for The Arc of San Diego, one of the largest agencies in San Diego that provides services to people with disabilities with 12 locations and 1,200 employees. Prior to The Arc of San Diego, she held the position of Corporate Director of Human Resources at the YMCA of San Diego County with 16 locations and 4,000 employees. Mary began her career in research at the Sidney Kimmel Cancer Center in La Jolla.